Our courses are Idaho approved and will satisfy your continuing education requirements. Complete the continuing education to renew your ID electricians' license today. All of our courses can be completed At Your Pace Online to help you meet the state's requirements to maintain your license. Once you finish your class you will have an official certificate of completion to save for your records, and we will report your course completion to the state for you. The Division of Building Safety requires that Journeyman and Master electricians complete 24 hours of continuing education before license renewal. 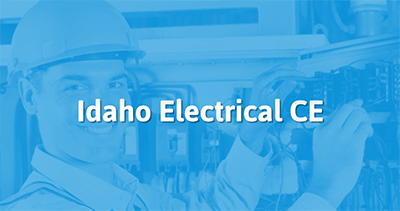 This continuing education course provides 8 hours of National Electrical Code related content for electricians licensed in the state of Idaho. The course combines information from several Articles within the National Electrical Code that deal with either installations in and around wet areas (like pools and ponds or like marinas or piers), or in dealing with machinery that can convey water, such as fire pumps and irrigation machinery. There is also a short section on electrical protection devices used in these areas, such as Ground-Fault Circuit Interrupters and Immersion Detection Circuit Interrupters. Our courses include HD Video and Interactive graphics. 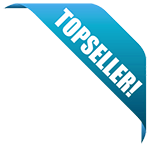 Complete At Your Pace Online! Complete the mandatory questionnaire and print your own certificate of completion! This course is designed to help Idaho electricians meet their continuing education requirements by covering changes made to Chapters 1 & 2 of the 2017 NEC. The course has been approved by the State of Idaho and will be reviewing code for General & Definitions, and Wiring and Protection. Complete this course At Your Pace Online, and then print your own certificate of completion! This course is designed to help you meet your continuing education requirements by covering changes made to Chapter 5 of the 2017 NEC. The course has been approved by the State of Idaho and will be reviewing code for Special Occupancies. Once you've completed your course, print your own certificate of completion! This course is designed to help you meet your continuing education requirements by covering changes made to Chapters 3 & 7 of the 2017 NEC. The course has been approved by the State of Idaho and will be reviewing code for Wiring Methods and Materials, and Special Conditions. This course is designed to help you meet your continuing education requirements by covering changes made to Chapters 4, 8, & 9 of the 2017 NEC. The course has been approved by the State of Idaho and will be reviewing code for Equipment for General Use and Communication Systems. Complete your course At Your Pace Online!